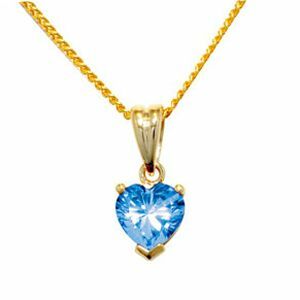 Amazing claw set Blue Topaz in the shape of a perfect heart sparkles brilliantly in this 9 ct gold pendant. Free chain included. Gemstone: 1 x Blue topaz heart cut 7x7 mm. Type: blue topaz heart pendant. 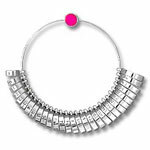 Occasion: Valentine's Day and December birthstone.